Allegheny College President James H. Mullen, Jr. presented the second annual Allegheny College Prize for Civility in Public Life in Pennsylvania to former Republican Congressman Charlie Dent and Democratic state Auditor General Eugene DePasquale. The pair was presented with the prize for their efforts to work across the political aisle to get things accomplished for the betterment of the Commonwealth, an increasingly rare action in today’s hyper partisan climate. The presentation was made during the 34th Annual PA Chamber Dinner in Hershey – an annual gathering of 2,000 political, business and labor leaders from across the Commonwealth. October 1, 2018 (Harrisburg, PA) – At tonight’s 34th Annual Chamber Dinner, the Pennsylvania Chamber of Business and Industry was proud to partner with Allegheny College to present the second annual “Allegheny College Prize for Civility in Public Life in Pennsylvania” award to former Republican U.S. Rep. Charlie Dent and Democratic state Auditor General Eugene DePasquale. The pair was presented with the prize for their efforts to work across the political aisle to get things accomplished for the betterment of the Commonwealth, an increasingly rare action in today’s hyper partisan climate. Allegheny College, a 203-year-old national liberal arts college in Meadville, Crawford County, created its national Prize for Civility in Public Life in 2011. Presented annually at the National Press Club, the national award recognizes two public figures on the national stage – one liberal and one conservative – who argue with conviction and with civility for their beliefs. Previous award winners include the late Sen. John McCain, R-Arizona, and former Vice President Joe Biden; U.S. Supreme Court Justices Ruth Bader Ginsburg and the late Antonin Scalia; and in 2018 Texas Congressmen Beto O’Rourke and Will Hurd. This marks the second year that Allegheny College issued the award at the state level. Last year, seasoned political veterans Alan Novak and T.J. Rooney received the state prize. Dent and DePasquale have both had long and varied political careers. 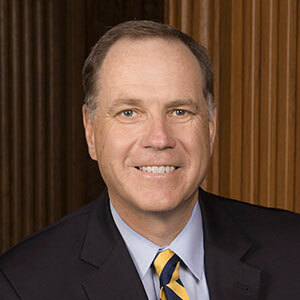 During Dent’s nearly three decades in elected office – both on the state and federal levels – he developed a reputation for collaborating with both Republicans and Democrats to find bipartisan solutions on a variety of issues – including healthcare and immigration. Likewise, during his six years in the state legislature and throughout his ongoing tenure as Pennsylvania’s Auditor General, DePasquale has shown time and again his willingness to transcend party politics to bring accountability and transparency to state government.